Fifteen hours later, my day ended with sharing news and memories about the untimely death of another great man who’s life’s work was about connecting Christians to Israel. I spent the last hours of the day coordinating rides to his funeral which, according to Jewish tradition, would take place the next day. Rabbi Yechiel Eckstein died in Jerusalem, a place that was dear to his heart and where he moved after spending most of his life in the US. He was an Orthodox rabbi, a devoted husband, father and grandfather, and the visionary founder of the International Fellowship of Christians and Jews. Part of his being a visionary was who he was, an out of the box thinker and passionate Jew and Zionist. And part of it was his being literally among the pioneers of building bridges among Christians from the Jewish side. 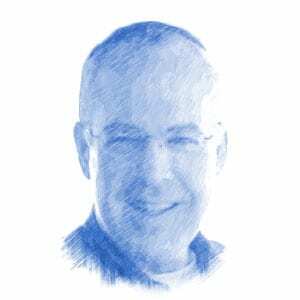 For nearly four decades, Rabbi Eckstein built a means for Christians to understand a biblical imperative to express their support for Israel. Over the years the IFCJ under his leadership raised more than $1.6 billion. The good that has been done through this, over nearly two generations, will last for generations more. That’s not just platitudes, it is fact. Countless Israelis and Jews in distant countries benefited from Rabbi Eckstein’s vision and commitment. Many never knew, and never will know, that they were helped because of him and the international network of support, The Fellowship, that he created. There was no greater heart for Israel when his heart suddenly stopped this week. Filling this void will be hard. Rabbi Eckstein broke many of those barriers down and sowed the seeds that allowed many others – Jews and Christians – to embrace the importance of mutual fellowship and support. I am privileged to be one of those whom he inspired. I consider him a mentor in many ways. When God called me to be a bridge between Jews and Christians in a small church in Cleveland, TN, I had never heard of Rabbi Eckstein. In fact, I didn’t know that there were others who were doing what he was doing, and what I had just been called to do. While I never was his employee, or immediate partner, we connected often enough that I’m sure he knew that I was in fact working “for us” in the broader Jewish-Christian bridge-building sense. On one of the many trips we each made throughout the U.S., we ended up spending Shabbat in the same community together. I had the dual privilege of seeing him “on,” masterfully speaking with no notes, to a crowd of Jews about why what he was doing was important. And on quieter moments that weekend we engaged in personal banter about more important things such as our family, his recently deceased father, and why we each did what we were doing. Rabbi Eckstein’s fingerprints are truly all over Israel. The national media tributes to him affirm that. His presence will be felt for some time, albeit without his soothing voice. And for some time, visitors will note his joyous face upon arrival and departure in IFCJ ads though the jet-bridges at Ben Gurion airport. A bridge-builder indeed. Around a recent unremarkable mid-50th birthday, I pondered a serious life and death issue, for me at least. Neither my father, my grandfather nor my great grandfather lived to see 60. Each died from something different, but hereditary all the same: cancer, heart disease, and antisemitism. I know that there are things I can do to prevent the possibility of some of these, but ultimately, I believe my destiny is in God’s hands. Pondering the early death of a friend and a mentor the same day, the reason for my doing what I am doing has never been more evident. I don’t need a statue, or a street named after me to have a meaningful legacy. I just want to do good, and do good in a way that will outlive me and continue beyond my time on earth. If God gives me 67 years to do His work as he gave to Rabbi Eckstein, I want to make the most out of it. If I get that long, not only will I have spent about as much time building bridges as he did, but I know I can achieve a meaningful legacy. As he did. Many Jews don’t understand the concept of fellowship as Christians do. I pray that this will inspire more good Christians to work with and embrace people like me, and for more Jews to do the same. I don’t pretend to be his successor, but our work building bridges is important. Whether this is your calling as it is mine and it was his, or not, please join me.